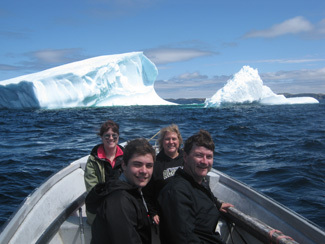 As a certified tour boat captain, David specializes in small group, personalized tours to view the magnificent icebergs that often frequent the main tickle just off from his fishing interpretation centre, Prime Berth. 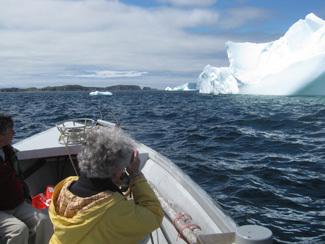 In addition to iceberg tours, David will take you to explore the rugged coastline of Main Tickle, and view the thousands of nesting birds on the Baccy Islands, on your way to Gut Tickle and through the Salt Hr. Canal to the picturesque fishing village of Herring Neck. Your view of the fishing stages from the water will be a highlight of your Newfoundland & Twillingate vacation. In addition David can take you to the little fishing village of Tizzard's Harbour, his hometown, where he has set his lobster traps since the age of six. Book your custom boat tour now!